To boldly go where I have never gone before..whole food eating. I amended the recipe to use half gluten free flour, half almond meal, but you just use all gf plain flour for nut free version. What I love about the recipe is the portion size makes it quick and easy to make without that overwhelming feeling that baking large batches sometimes causes (to me at least ). Oh, and they are delicious. You can add chocolate but I left mine plain and the honey makes the so sweet. 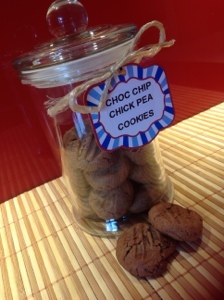 They are crunchy and a little crumbly as is the case with gluten free baking but so good. My dough was quite oily and although it rolled out well, it was fragile so a bit harder for delicate little fingers to keep the shapes they made, handle with care when transferring to baking sheet. 2 heaped tablespoons coconut oil or 50 grams of finely chopped butter, not melted. Form a ball of dough with your hands, and wrap in cling film. Fridge for 5-10 minutes. Mix will be soft. 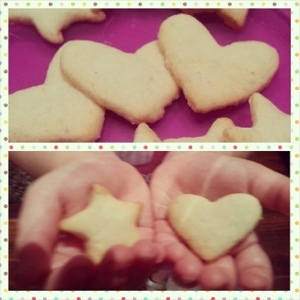 cut into desired shapes and bake for 5 – 8 minutes, allow to cool completely before touching. an easy, tasty, superfood snack that takes only minutes to make and less to devour. This is my version, adding a middle eastern spice called zaatar that is tangy and zingy and delicious on anything in my opinion. 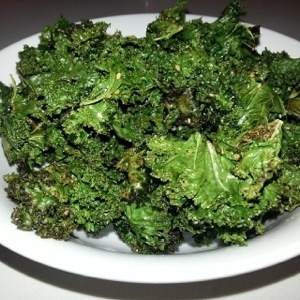 4. spread kale on baking paper on an oven tray. spread out as much as you can. 5. bake in preheated 180 Celsius oven for 10-15 mins or until edges are Brown. I tossed mine halfway to ensure max crispiness. This jam is from a friends gorgeous site @healthy happy well. @moorebrune. 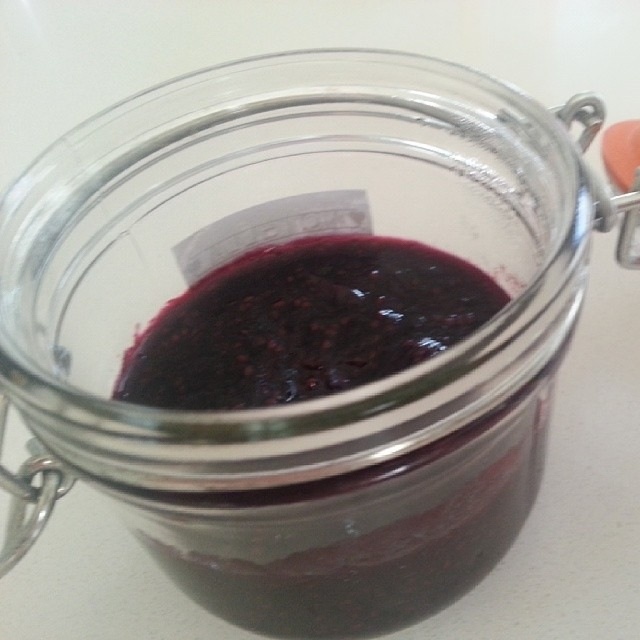 It’s so easy to make, all you need is berries, water, vanilla and chia seeds. 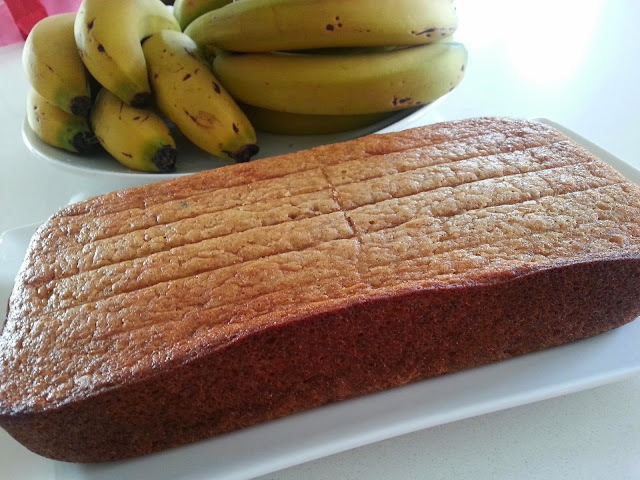 I was searching for a Banana Bread recipe that was gluten free and found this recipe which is also sugar free and dairy free, which suits me just fine! I have adapted this recipe from a book I recently downloaded by Alexx Stuart called real treats, 68 Gluten, Grain and Dairy free sweets. I have changed it to suit the ingredients I had in my pantry. The taste is very ‘bananery’, but it still has a spongey softness to it. Now, I wrote that it is sugar free but don’t let that fool you, it’s still sweet, it just doesn’t use conventional, refined sugar ( which is referred to as addictive poison by various groups). This is a whole food banana cake. If you try it, let me know what you think. I like it. Pour mixture into tin and bake for 30-40 minutes or u till a skewer comes out clean. Cool on a rack or start eating. Lessen bananas to 2 for a drier loaf, which is good for toasting. These cookies sounded so strange that I just had to try them and I was not disappointed. The dough is as delicious as the cooked version and little miss 4 said "you make the best cookies in the world mama" SUCCESS ! As much as I'd like to take credit for this little invention, this recipe was taken from eatgood4life (see link below if you like).